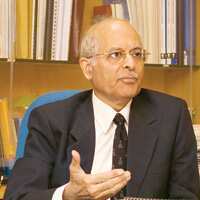 Four years after he assumed the office of the acting chairman and member of the Competition Commission of India (CCI)Vinod Dhall, former secretary with the corporate affairs ministry, suddenly has a lot on his plate. Now that CCI has statutory powers, what are its priority tasks? Firstly, the commission has to recruit and train staff. We got an organizational structure study done by the Indian Institute of Management, Bangalore (IIM-B). The report recommended that CCI comprise professionals, 40% of whom should be economists, another 40% should be lawyers, and 20%, financial analysts. In addition, we need to put in place a support staff. IIM-B recommends hiring 240 people in the first year itself that can be scaled up to 480 by the end of five years. Institutions such as the Confederation of Indian Industry (CII) raised concerns about the stiff provisions for M&A in the Act. These apprehensions are because of partial understanding of the provisions of the law. The Bill was referred to the parliamentary standing committee, which heard all stakeholders. Only mergers and other forms of combinations above a threshold fall within the jurisdiction of the commission, and the threshold is very high—almost double the threshold in the UK. In the case of our law, there are three stages provided in the Act. We hope, in a merger case, if all the information is provided to CCI in the application, the matter will get cleared in the first or the second stage. What happens in the case of a hostile takeover, because the situation may become grave if two parties don’t come to an ­agreement? We have to see how that would be dealt with in the Act. One thing is for sure, the party that wants to take over, even if it is a hostile takeover, has to inform CCI. To fine-tune such processes, we are developing draft merger regulations and internal guidelines. To do this, we have the advisory committees, which have the best people in respective disciplines, who consult. These committees debate the regulations and guidelines and only then they are finalized. Some sections of the industry say provisions regarding violation of CCI’s orders are too stringent. Will a violation be considered a criminal offence? No. In many countries, forming cartels is a criminal offence. In our case, any violation of the CCI’s order is not a criminal offence. In the case of any violation of the law, CCI has the powers to impose civil penalties such as fines, and cease and desist orders. If a party violates the order passed by CCI, the Act says the agency will be given proper notice. Failure to comply would attract a penalty of Rs1 lakh per day, subject to a maximum of Rs10 crore. If the party still is non-compliant, CCI will file a complaint with the chief metropolitan magistrate of New Delhi. The penalty can then go up to Rs25 crore or entail an imprisonment of up to three years, or both. How lenient then is the law on ­cartels? In around 11-12 countries, cartels are illegal. These include the US and the UK. There are a number of cases where senior executives of firms have been imprisoned in the US for cartelization. This has happened in the case of (the) global vitamin cartel and also in the case of (the) global lysine (an essential amino acid that goes into making animal feed) cartel, where senior officials of the convicted firms were jailed. In the UK, in addition to being fined and imprisoned, a person can be debarred from being a director of a company for up to 15 years. British Airways recently had to pay huge fine for cartelizing cargo rates. Do you think CCI will be able to handle cartelization cases? Cartels are never easy to crack because they are shrouded in secrecy. But one powerful tool against cartelization in most competition laws across the world is the leniency tool, which is there in our Act also. If a party breaks away from the cartel and gives vital information to CCI, that party can get leniency treatment or even amnesty. Now this provision has greatly destabilized various cartels across the world, including the global vitamin case, where the breakaway parties have played the role of whistleblowers. What about monopoly situations when the government itself comes under the scanner of CCI? The Act is neutral. The only exception are departments such as defence, space, atomic energy and currency. Recently, CCI advised the Reserve Bank of India (RBI) that there are anti-competitive activities in the sector, which is not letting too many private sector banks to operate in the country. Was that an example of that? No, that was part of advocacy. Regulators and government ministries act under a law. CCI’s role in such cases is giving its opinion with the view that its counsel will be considered in decision making. Our request to RBI was that in regulating banks, the competition perspective should also be kept in mind within regulatory framework. So how do you decide where enforcement ends and advocacy ­begins? Enforcement is against enterprises, not the regulator. Regulator functions within the framework of law and the manner in which it functions can be that of promoting competition or suppressing competition through heavy ­regulation. To put things in the right perspective, we have recommended to the government that we have a national competition policy, which will spell out a national competition policy statement (like the industrial policy statement).